Scholarship winner Alan Stenhouse found the diverse range of local and international presentations at #CitSciOz18 interesting, enriching and inspiring. 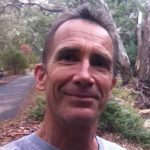 From February 7-9 2018, I attended the Australian Citizen Science Conference that was held in my current home town of Adelaide, Australia. 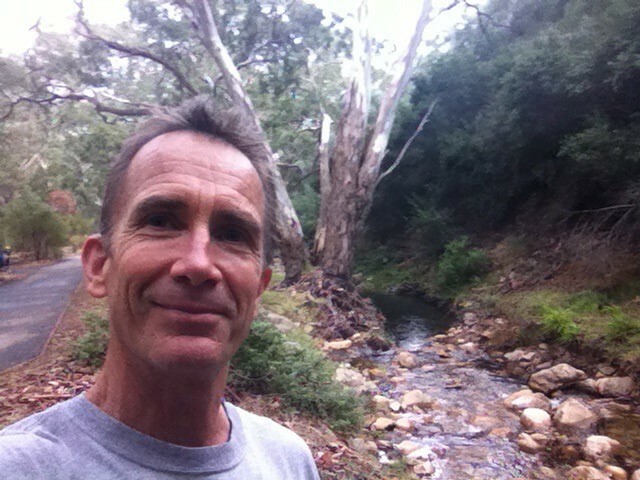 Thanks to the Australian Citizen Science Association’s (ACSA) generosity I managed to win a scholarship that covered my registration fee – much appreciated! We started the conference with some workshops – I attended “New Visions in Citizen Science and Public Policy in Australia”. Some of the highlights of this for me were Libby Hepburn telling us of the United Nation’s goal to get one billion Citizen Scientists in the world by 2020! Then Jo White, from the New South Wales Office of Environment and Heritage, provided good guidance on what to aim for when thinking about changing policies using Citizen Science (CitSci). Lea Shanley from the US South Big Data Hub provided some examples from the US, such as how they got the government to explicitly support CitSci and created a federal CitSci toolkit. Amy Kaminski from NASA described CitSci as a tool for scientific research and societal benefit at NASA and gave examples like AuroraSaurus – which needs people in the Southern Hemisphere to take part! Amy also mentioned some relevant points for me such as: lack of expertise to review CitSci projects in review panels; data quality concerns; the science community’s lack of experience with CitSci. Of particular note was her advice to use the terms “augment + enhance” scientific research to allay fears of the “replacement” of scientists. A great idea! She also mentioned that the next Earth Observation budget will include a CitSci component. Next up was the official conference opening with a fascinating welcome to country from Kaurna Elder Uncle Lewis O’Brien who reminded us of the breadth, depth and importance of indigenous knowledge. This was followed by a keynote from Alan Finkel, Australia’s Chief Scientist. He told us about Ferdinand von Mueller who came to South Australia in 1847 and started perhaps the first Australia-wide CitSci project from the 1850s onwards. He was a botanist and convinced interested citizens (primarily women) around Australia to collect plants, store them appropriately and then send them to him. My talk was scheduled as the last of the first day in the #EmpowerWithData stream and I think it went ok – at least I had some good feedback and comments on Twitter. Afterwards all the speakers in our stream stood up the front and had a good discussion with the audience for 30 minutes which was very worthwhile. 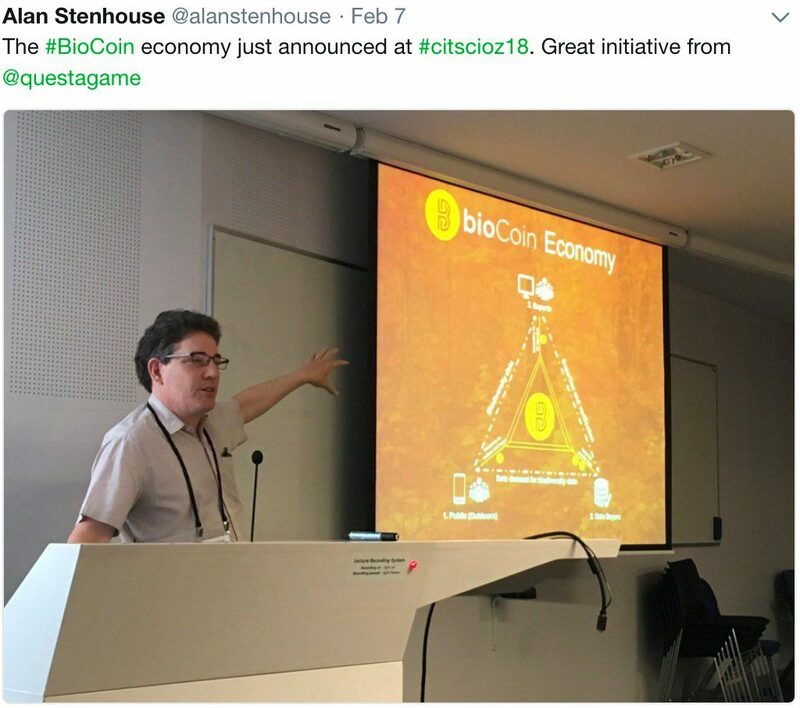 Andrew Robinson from QuestaGame introducing BioCoin – as a virtual currency for use in QuestaGame and other environmental projects. It will be fascinating to see how that develops over time. Hearing what Emilie Ens and her team have been doing up in the Ngukurr NT area was very informative. She outlined starting off 10 years ago with fencing off Billabongs (“the local supermarket” and culturally significant). Then added cross-cultural biodiversity surveys in 2012, and brought in new technology to record data. Empowering young people through conservation – make it fun, get them involved with mobile technology and other fun stuff – and thereby raising the level of education . Finally, supporting intergenerational knowledge transfer and maintaining endangered languages and cultures. Awesome work and still with a lot of opportunities remaining! Seeing Amy Sterling presenting EyeWire – a CitSci gamified application for mapping neurons in the brain. 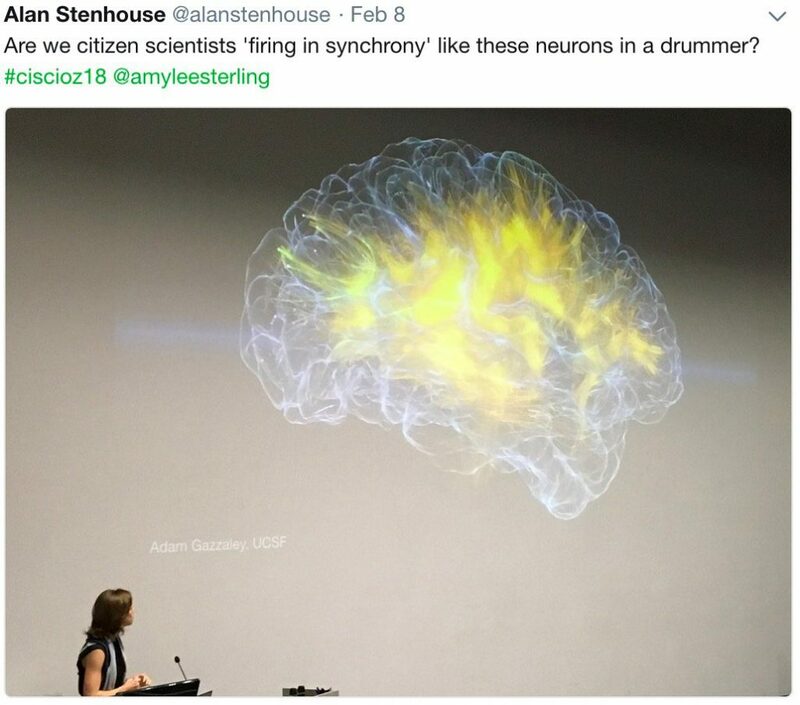 Previously taking a neuroscientist approximately 1000 hours to map one neuron, with some AI involved a Citizen Scientist can now map one neuron in 50 hours (though maybe I’m oversimplifying this?). Looks like a great application with a vibrant community (demonstrated live and chatted with other participants back in the US) – there are about 250 thousand players in approximately 150 countries! There were, of course, loads of great projects from around Australia, but best of all was meeting and talking to the people involved in all these projects both at the conference and afterwards (did I mention the social events?). It was interesting, enriching, and inspiring! Many thanks to all the participants and especially the organizing committee. I’m looking forward to the next conference!